Blendedˣ will now offer a brand new feature, designed to help you listen to your learners. 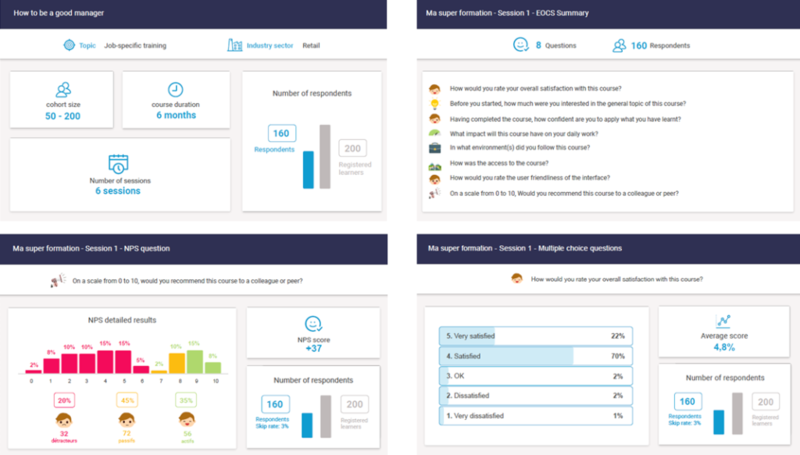 The new ‘End of Course Survey’ activity will allow training managers and L&D professionals to solicit learners feedback on the quality of training programs. A set of 17, ready to use, non-customizable questions are available to get course feedback from the field, following the Kirkpatrick’s 4 Level Training Evaluation model. It makes sure that the right information is captured. 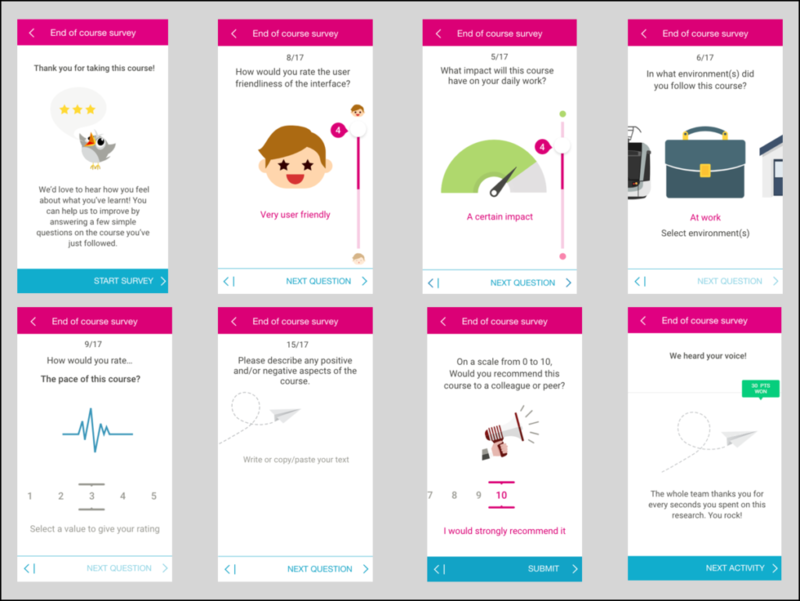 Course designers can select the questions amongst a set of 17 possible questions, on various topics where they would like to receive feedback. The available questions include NPS (Net Promoter Score – the only mandatory question in the activity), satisfaction questions, ratings on various aspects of the course, open questions. The user experience focuses on ensuring that learners will complete the activity. CrossKnowledge promises on listening to its learners and offering a learning experience that is determined to be a success. This new feature in Blendedˣ is a big step forward in this regard. A new set of features will be released in a few weeks, including a visual, ready-to-pdf reporting for course designers and facilitators to make best use of this extremely valuable data. These visually engaging reports will include key metrics to analyze the survey reports and will make it easy to analyze learner feedback and satisfaction level. Contact your CrossKnowledge Representative for more information on the new ‘End of Course Survey’ to start getting learner feedback today!